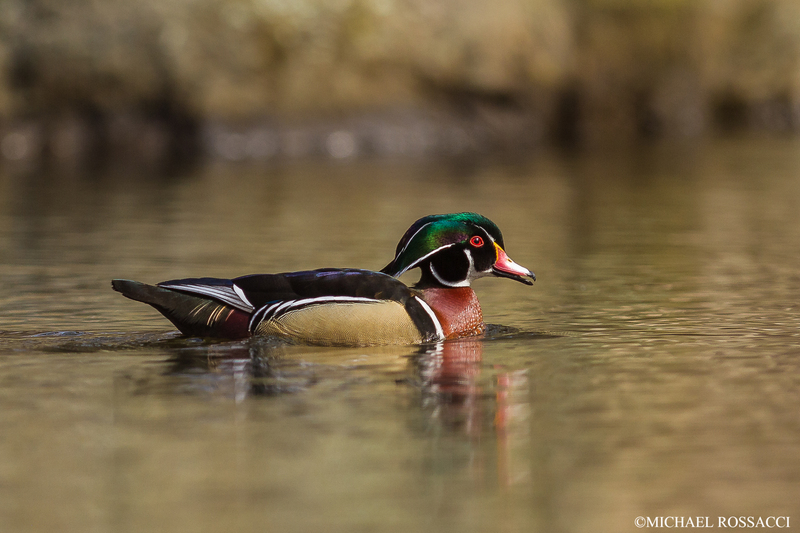 With spring finally settling in, we start to see more Wood Duck drakes boldly showing their vibrant coats. On a recent visit to Horn Pond, Woburn, MA, I was able to be in position for a few images before this drake discovered my presence. In this image, he is paddling toward the hen that he was courting. I photographed this duck using a Canon EOS 7D and a 300 mm f/2.8 lens under bright overcast skies.